Players looking to find a ticket for Niantic's upcoming Pokemon Go Fest may be out of luck. It wasn't very long ago that Pokemon Go developer Niantic announced its plans to kick off an all-new festival-type event called, naturally, Pokemon Go Fest. The event was set to kick off fairly shortly after the announcement, and now that we've reached the week of the event, it was finally time to put tickets up for sale. 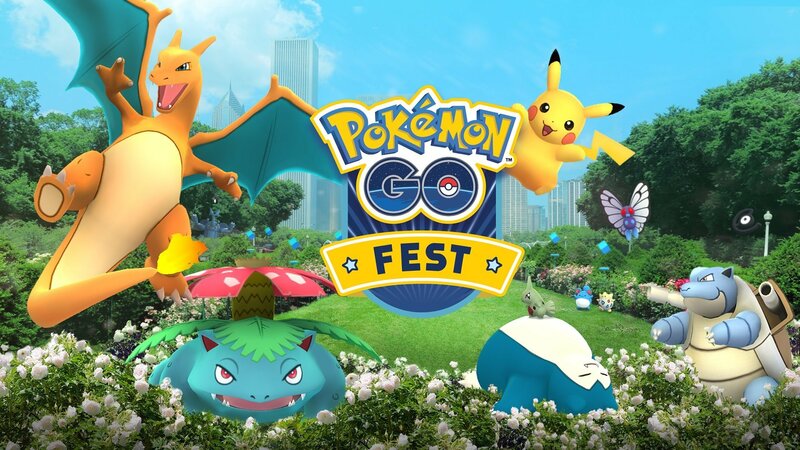 Unfortunately, many players who expressed interest in checking out the first-ever Pokemon Go Fest won't have the opportunity to attend, as the event's tickets sold out very shortly after ticket sales went online. Any players looking to purchase tickets to the event will now be treated to a message stating that tickets are unavailable and to try again later. The official Pokemon Go Twitter account also confirmed that the event's tickets had sold out, and for now, it appears that there's no other official venue to purchase tickets. Naturally, a series of ne'er-do-wells have taken to online retailers and popular auction sites in order to sell their tickets to the sold-out event, and players going down that route will be charged a premium, as tickets have been listed with prices upward of $500. Fortunately, the team behind Pokemon Go have plans in place that should allow players to participate in some of the Pokemon Go Fest action. Details regarding how this might work aren't clear at this time, but the company has instructed players to stay tuned for more information. In addition, Niantic has provided players with all-new details regarding the upcoming Gym overhaul as well as the new Raid Battle mechanic that players will begin seeing in the coming weeks. These new mechanics are set to introduce large-scale battles with Legendary Pokemon as well as a host of new items, so players are understandably amped. To learn more, check out our guide on the new Pokemon Go Raid Battle and Gym Updates. Pokemon Go isn't the only exciting game to land on iOS devices. To discover more, hit up our list of the Best iOS Games.